Are Private Firefighters A Public Good Or An Unfair Perk For The Wealthy? Troy Kurth, CEO of Rocky Mountain Fire Company. We’ve had a brutal fire season this year. The fires still burning across California have left more than 80 dead, and hundreds are still missing. Amidst the flames, a seemingly new trend has emerged – a two-tiered system with private firefighting resources for those who can afford them, and a system stretched thin for the rest. This is now where his crews prep for their 14-day assignments. They have the same baseline certifications as federal firefighters. “We got out of the horse business, so we converted this horse barn into our fire cache and shop,” he says. And he says those firefighting services are increasingly in demand. In 2017, the U.S. Forest Service spent more than $2 billion suppressing fires. And right now, the Camp Fire, the most destructive blaze in California’s history, continues to smolder. It’s all part of a new spin on a recent trend. Starting in the 1980s, the Forest Service began facing tighter budgets and more destructive fires so it started contracting with private firefighting companies to help out. Then more recently, the private insurance industry got involved and started offering private firefighting services on its home policies. David Torgerson is president of Bozeman-based Wildfire Defense Systems — the largest private firefighting group in the country. Torgerson says his company is now bigger than many state firefighting agencies. Like other private companies, Torgerson continues to contract with state and federal government but now he’s also working with about a dozen private insurers. Since 2008 he says his crews have responded to more than 550 wildfires that included thousands of private properties. They help fire-proof properties before blazes hit homes. He adds most of the homes have been average value - not million-dollar mansions. And either way, he says, the more resources for these raging fires the better. But how easy is it to get that coverage for the average homeowner? That’s not clear. AIG did not respond to emailed interview requests. Eric Samansky is with Chubb, another insurance provider that offers this service to all clients in fire-prone areas across 18 states. “It’s complimentary so if you are a policy holder within those states all you need to do is enroll,” he says. But there may be another problem with any kind of insurance in some of those areas. “The affordability issue is one that is growing here in California. We’re continuing to see prices increase,” says Nancy Kincaid, a spokesperson for the California Department of Insurance. Her state has more homes in fire prone areas than any other region. And she says homeowners there are having more and more trouble securing coverage of any kind due to increasing premiums. 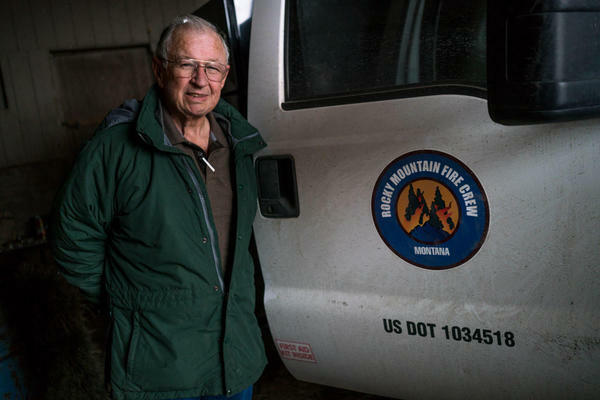 Carl Seielstad has been studying fire trends for decades as an associate professor of fire science and management at the University of Montana and a practicing fire incident commander. He says this trend towards private firefighting is a reflection of our society. Whether it’s fair and equitable is more complicated, he says. For one, nobody’s keeping track of the industry and who’s using the services. However, “even the perception that fire management plays favorites – whether it’s fair or not – erodes confidence in the fire management enterprise,” Seielstad says. Fire and forest management is already an ecological and political issue, so what happens, he says, when profit comes into play too? The private firefighter industry continues to grow. According to the industry’s trade group there are more than 150 companies employing more than 12,000 crew members. 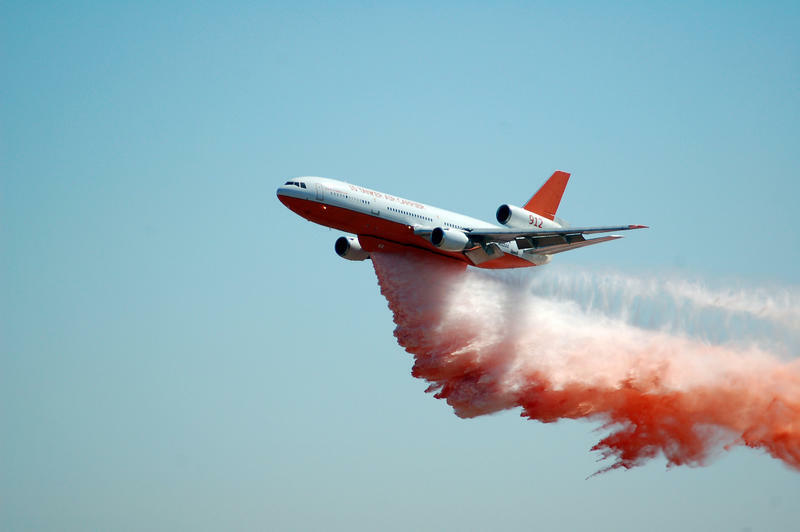 With wildfires burning through much of the West, there’s high demand for big aircraft to come in and battle the flames from above.